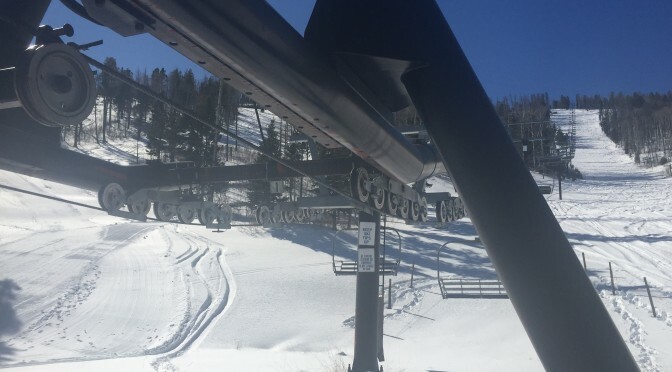 Los Alamos, NM – Pajarito Mountain Ski Area will open its Townsight lift and the east area of the mountain this weekend for the first time since its top terminal was damaged in the Las Conchas fire in 2011. The mountain’s only quad lift, Townsight services several intermediate trails and some of the best tree skiing on the mountain, said general manager Tom Long. 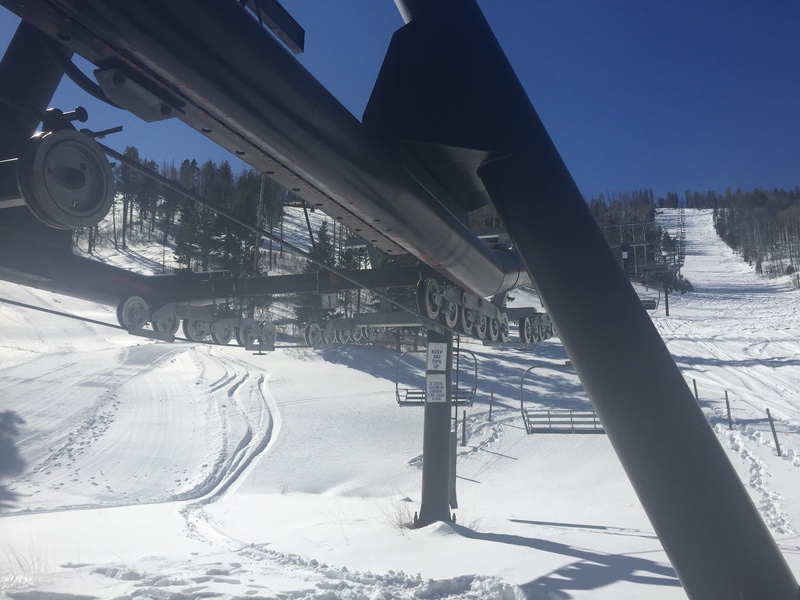 With Pajarito’s sixth lift in operation, nearly 100% of the mountain will be open – another feat the Los Alamos ski area hasn’t experienced in several years. “We have all eagerly awaited the re-opening of this lift, and we couldn’t be more excited to open it again starting Saturday,” Long said. Long said he plans to run Townsight every Saturday and Sunday, and the lift will turn this Monday when the ski area offers special expanded hours for the Martin Luther King, Jr. Day federal holiday. As a way to celebrate the lift opening and the successful winter season, Long said the mountain is unveiling two new specials that will be available throughout the 2015-16 winter season. Wednesdays are Car Load Days, where everyone in one car (up to six guests) ski for just $99. Thursdays are Local Appreciation Days, and lift tickets are discounted for everyone: $39 for adults, teens (ages 13-20) and seniors (ages 60 and older); and $29 for kids (ages 7-12). Local Appreciation Days are available for all guests, and no IDs are required. To redeem these promotions, guests must mention the deal at the ticket office window. The 2015-16 winter season has already been one for the record books at the Los Alamos ski area. After one of the most impressive water collection efforts to date, Pajarito posted one of the earliest starts in recent history when it opened on Friday, November 27. Since then, Pajarito has offered guests an expanded operating schedule, opening Wednesdays through Sundays and holiday Mondays, as opposed to the weekend-only operations of the past.